And you thought the election related brouhahas had come to an end. Nope! Not here in North Carolina where they appear to be never ending. On Tuesday, the other shoe dropped in the Federal lawsuit against North Carolina's state legislative districts. A panel of Federal Judges ordered the state to redraw 19 House districts and 9 Senate districts for the General Assembly by March 15th, 2017. Maybe more importantly, the state was also ordered to hold new elections in by the end of 2017. While none of our local districts in LKN are directly involved in the lawsuit, the court decision requires any district that changes as a result of drawing new districts hold a new election. That means even if the NCGA doesn't do a wholesale redrawing of districts like they did when Congressional districts were redrawn earlier this year, there would seem to be a high likelihood many if not all legislative districts would be impacted. 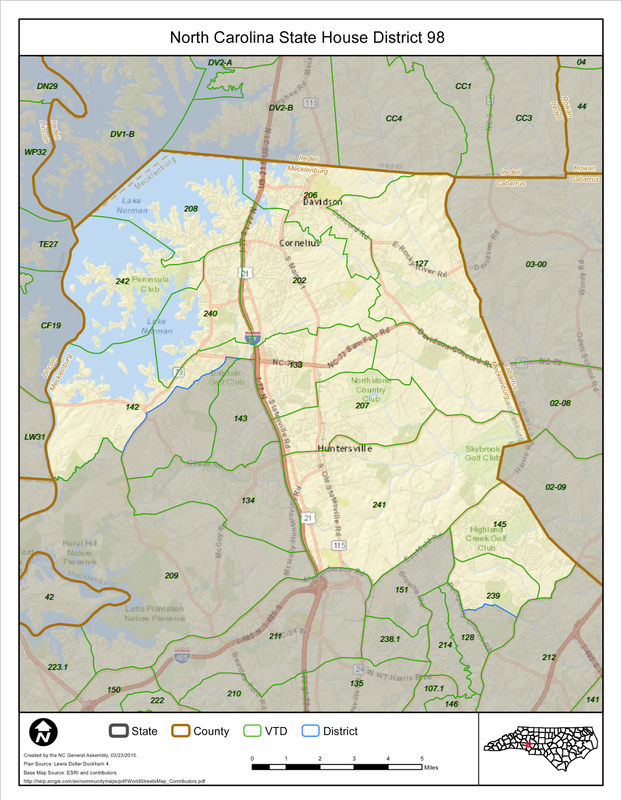 For LKN voters that likelihood is even higher because some of the districts directly impacted are adjacent to House 92 & 98 as well as Senate 41. 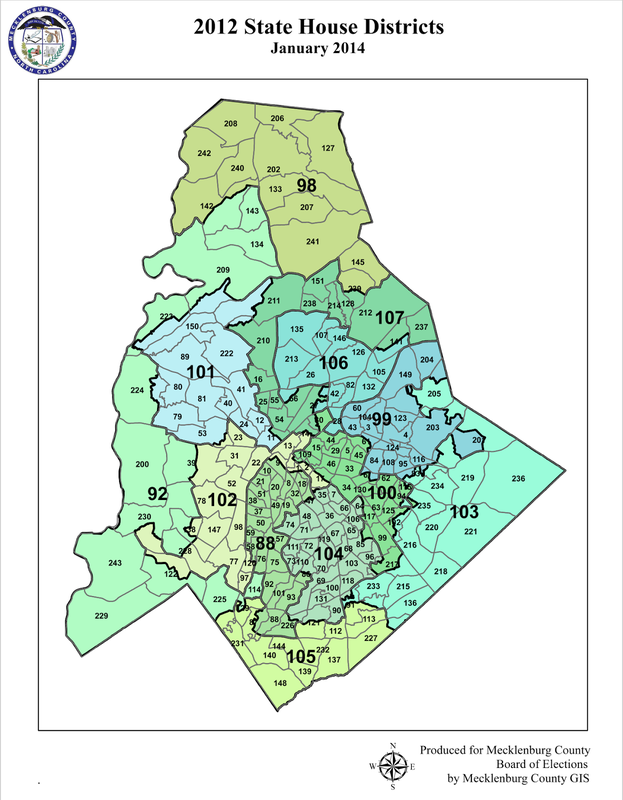 In Mecklenburg County, House Districts 102, 107, and 99 as well as NC Senate 38 and 40 are under court ordered redrawing. Check out the below maps to see exactly where these districts are all located. It is easy to see how redrawing the court ordered districts will impact the LKN districts in some way - triggering new elections in those districts as well. It's also easy to see how redrawing districts could put some newly elected officials is bad situations. Since Republicans will be drawing the new maps, those things will likely happen if it's to their advantage. Take NC 92 for example. Newly elected Chaz Beasley lives in Steele Creek in the south end of the district adjacent to NC-102. In redrawn districts what if his residence is put in the same district as Becky Carney in 102? He can either primary a formidable member of his own party in that new district or he would have to run in a district where he no longer resides. The court order allows this for these special elections, but if he was successful in the 2017 election he'd have to move to the new district in order to run again in 2018. Examples like that could be seen all across the state. Also, with this hanging over the legislature, one can expect new legislation to move fast and furious while NCGA Republicans hold super majorities in both the House and Senate. If the 2017 election puts that at risk, you can be sure they will use that power while they know they have it. Of course all of this could not happen if the Republicans in the NCGA win an appeal, but recent history makes that seem unlikely. If this redrawing of the maps goes forward, 2017 will be another bumpy year in NC politics. Roy Cooper's lead in the NC Governor's race ballooned on Monday as more updated vote totals rolled in to the NCSBE. As of Monday night, the lead stood at 9,716 votes according to the NCSBE website. And almost as if on queue, Monday afternoon Pat McCrory’s campaign manager, Russell Peck, sent out an email asking for money to fight the tide. Regular readers of aShortChronicle will remember Peck from these posts here and here. In an email titled "Formal Appeal", Peck makes what sounds more like a desperate plea for cash as time appears to be running out. Over the weekend, attorney and registered Durham County voter Thomas Stark filed a formal appeal with the State Board of Elections in relation to the ‘malfeasance’ in tabulating approximately 90,000 ballots that were reported just before midnight on Election Day. It was concerning to learn that the Durham County Board decided to not approve Tom Stark’s protest to recount early vote totals from election night. The malfunctions and irregularities in Durham have been extremely troubling to this campaign and the people of North Carolina, and the State Board confirmed several errors. We are now left with no other position but to request the State Board of Elections expeditiously order a full recount of Durham County early vote totals. 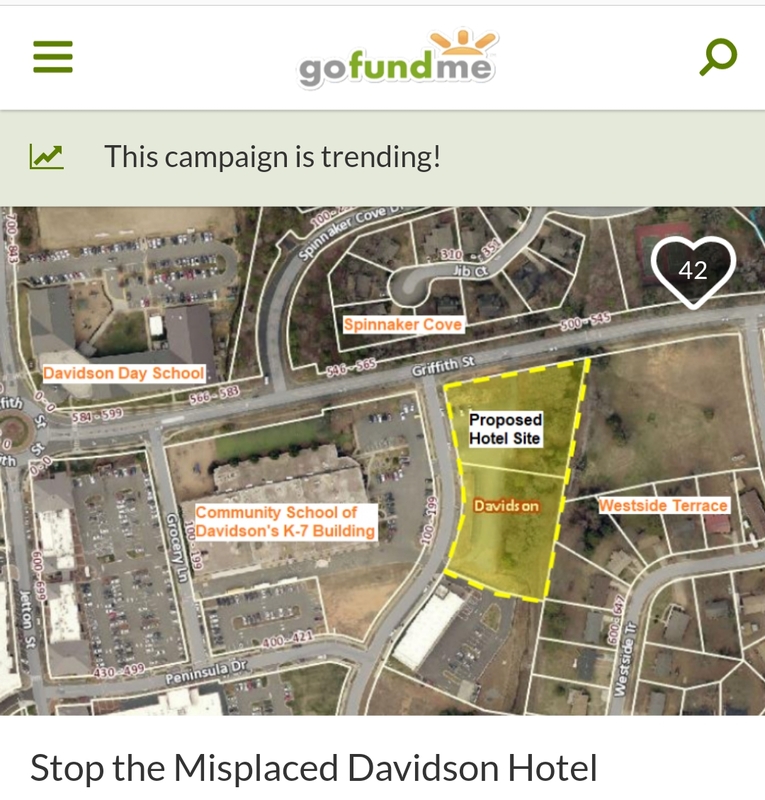 We need funds to help us finish the job. Please contribute to the Legal Defense Fund TODAY! The "malfunctions and irregularities" in Durham County may be troubling to Peck but they weren't the biggest problem for the campaign he was managing. Take a look at the below numbers from the counties with the 4 largest cities in NC. Of the four metro area counties, the vote share for the Democrat candidate was up the least in Durham County compared to 2012. That's both in percentage terms and in raw numbers. You'll also notice that Durham is consistently overwhelmingly Democrat with the Dem candidate capturing over 70% the past three election cycles. Even if the recount request eventually does goes forward in Durham and even if it finds some issue, it doesn't pass the smell test that enough erroneous votes could possibly be found there to overcome Cooper's growing lead. Rather than writing a check to Mr Peck, the fiscally conservative thing to do would be to keep one's money safely in their own bank account. Remaking the Electoral College Map? Only time will tell. 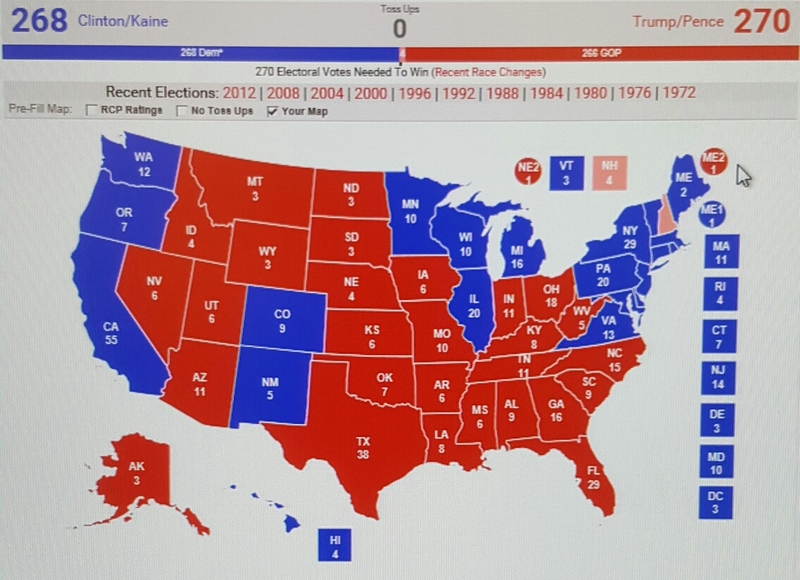 Did this election cycle redraw the Electoral College map? Does it signal some realignment of the national electorate for decades to come? If you are a Republican, after seeing Donald Trump shatter the fabled Democratic Blue Wall in the Upper Mid West you say "yes. If you are a Democrat still reeling from the election you shudder at the thought. There has been much concern, hand wringing, and downright anger over the past several days at the mechanics of the Electoral College that decides our Presidential elections. For the second time in less than 20 years, the popular vote winner will not be the winner in the Electoral College and that has started once again the arguments about getting rid of it. It's a valid discussion, but changing the Electoral Collage is a discussion that likely won't be resolved anytime soon - maybe ever. As for the discussion about does this election signal a long term change in the electoral map itself, that's a different matter. 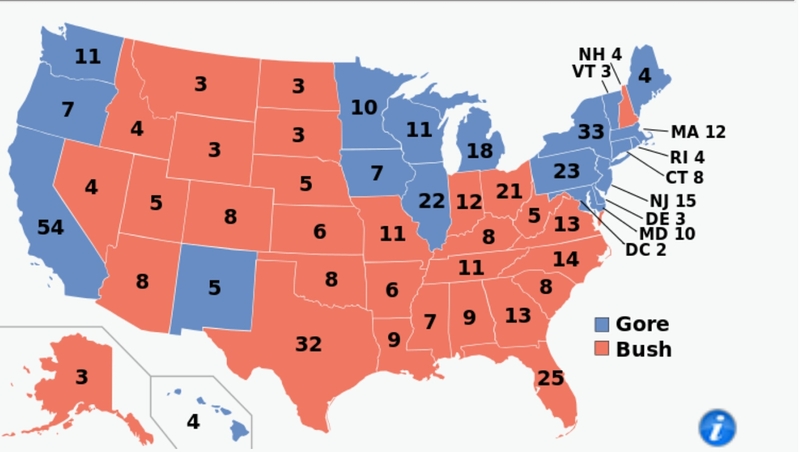 Democrats can take comfort that history would tell us "no" one election does not indicate much when it comes to the map itself. Starting with the Electoral College map from 1948, the first post WWII election cycle, scroll through the maps available on Wikipedia for each Presidential election. 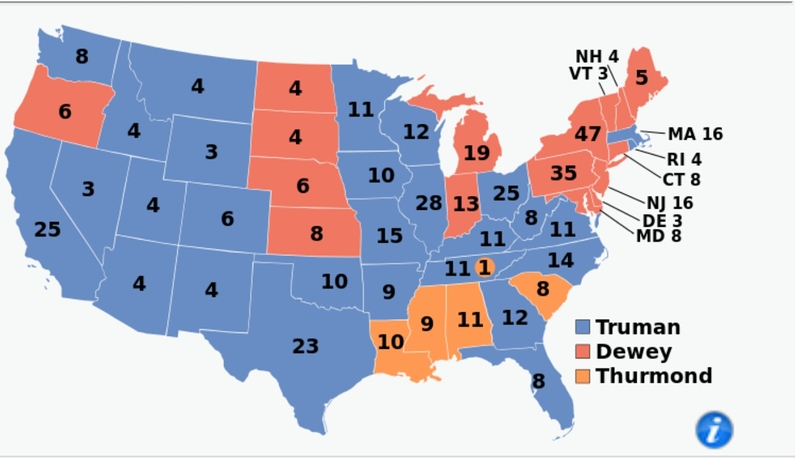 The first map is the one that spawned the famous, and eroneous, "Dewey Defeats Truman" headline. If you scroll through the maps you will see clearly that there have been several true redrawings of the map over the subsequent 58 years - as few as six and as many as eight depending on how you count. 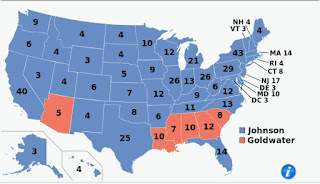 Look at this map from the 1964 Johnson/Goldwater race. Democrats probably thought they had the Presidency locked up for a while after this one. Just two cycles later Nixon/McGovern gave us this map in 1972. That map didn't hold long. 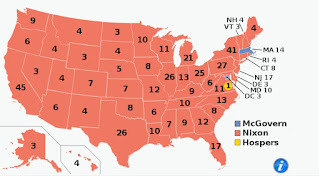 Nixon resigned after achieving this solid red map, and things turned Blie again with Lyndon Johnson. 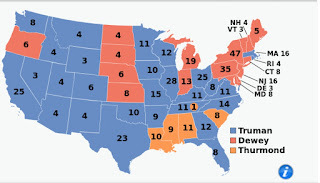 The general outlines of the map we have now fell into place with the 2000 Bush Gore election. President Obama chipped away at this map by adding Colorado, Nevada, Indiana, Ohio, Florida, Virginia, and North Carolina to the Democratic tally. The Florida, North Carolina, and Virginia adds seemed to signal a Democrat resurgence in the South, but two cycles later NC and FL are back voting Republican with VA being very close. Trump did something similar with his close wins in Michigan, Wisconsin, and Pennsylvania this election. They were certainly pivotal this cycle, but will they hold? In response, you can be sure the Democrats won't be caught flat-footed in those states next Presidential election season. In one or two cycles the map can change radically. It has in the past and likely will again in the future. Candidates and national circumstances matter as much as anything else - including demographics..
2016 shaped up to be one of the closer Presidential elections in memory. Hillary Clinton wins the popular vote while Donald Trump wins the Electoral College with many of his winning states coming by incredibly close margins. With all of these being true, how can this be a "landslide" election? The answer to that question can be found in two articles from the NY Times. The first article was published a few days before the election and the second article a few days after. These articles covered the growth in "landslide counties" since the 1992 election with a county defined as "landslide" when either party wins the county by 20% or more. In 1992 both parties had a little more than 500 such counties across the country. After 2012 the Democrat landslide counties dwindled to 281 while Republican counties exploded to 1724. In 2016 the trend continued and even accelerated in some areas. Here are the statistics from the two NYTimes articles put into a chart. 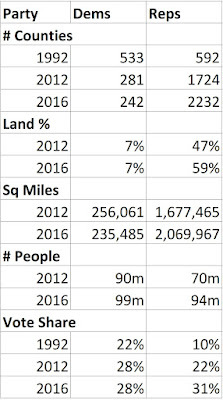 A few things jump out from these numbers in 2016. Over the previous 5 election cycles Republicans added about 226 landslide counties per cycle while Democrats lost about 50 per cycle. In 2016 Republicans added a whopping 508 and Democrats lost 39. In 2016, Republican landslide counties closed 75% of the population gap Democrats had after 2012. They now trail by just 5 million people. The share of the overall popular vote total from Republican landslide counties surpassed that from the Democrat landslide counties for the first time. The most stark depiction of the impact of these changes in 2016 can be seen in the second linked article from the NY Times. Click the above link and take a look at the maps. Since 1992, only one major area of the country had resisted the change in the overall move towards a predominance of landslide counties. That area was the Upper Midwest including the states of Michigan, Wisconsin, Minnesota, and Iowa. The rural areas of those states remained as non landslide areas over the last 5 election cycles. In 2016 that changed dramatically. Michigan and Wisconsin have gotten all the press coverage because they helped give the election to Trump, but even true blue Minnesota went rural red this election with the final spread under 2%. CNN's election page allows you check out the totals at the county level if you are interested in more detail. This overall change in landslide counties tells the tale of this particular election. 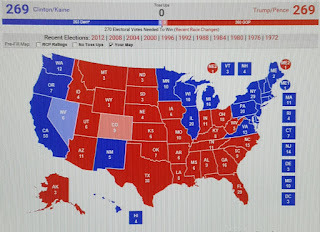 The next post will look at what that might mean when it comes to the Electoral College and the inevitable discussion where people claim this election "permanently remade the map". Every year when Veterans Day comes around I always think about my wife’s grandfather. Like many members of the Greatest Generation the man had a story for every situation. After getting to know him and hearing those stories (some more than once), I dubbed him “Forest Gump without the money”. Grandpa had more careers and life experience than most. He was a welder and a photographer. A mechanical engineer, he worked at Ford Motor Company and IBM. He was also a custom home builder for several years. He was even an inventor. He often told a story about leaving IBM to be part of a team that invented an optical scanning machine. Most adults will remember the Scantron tests from school requiring a #2 pencil. Grandpa helped invent the machine that graded those tests. The small startup was eventually bought by 3M. He also told a story about helping build some prototype fitness machines for some local body builders. They went on to form a successful business. From the way he described them, they were just like the Cybex machines you’ll see in many gyms. Both of those companies are based in or near where he lived in Rochester, MN at the time. Unfortunately, he was an engineer and not a savvy businessman. He also wasn’t as lucky as Forest Gump, so huge monetary success wasn’t in the cards from these efforts. However, the most Interesting story he ever told was from his time in the Navy. 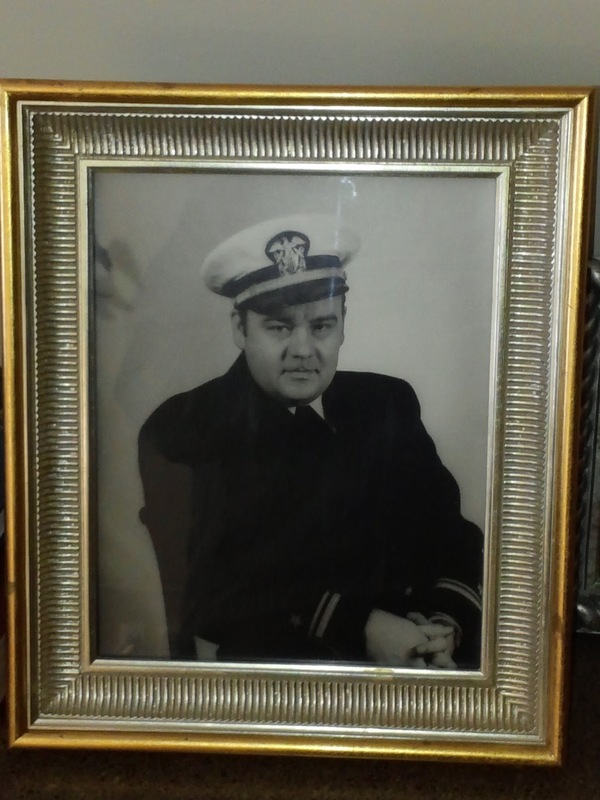 Grandpa joined the Navy from Minnesota during WWII. Eventually, he was transferred to Norfolk Virginia where his skills as a photographer and a welder were put to use inspecting welds on ships being built in the shipyards. He used a specialized camera to take Images of the welds and make sure they were safe. 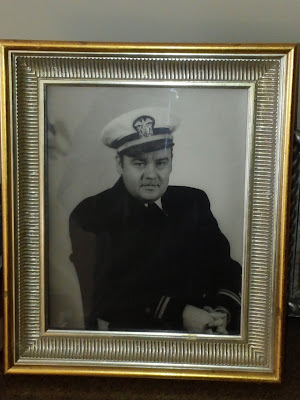 When it came time to begin preparations to for D-Day he got his orders for a ship that would ultimately take part in the Normandy invasion. While standing in line to board with his duffel bag packed, he was pulled aside and told his orders had changed. Instead of heading to Europe, he would be working on a special project. As Grandpa liked to tell the story he was eventually taken to a hanger with a Consolidated B-24 heavy bomber. There were some engineers from the company present as well as some military mechanics. Oddly, there was also an interior designer from New York City. The team redesigned the plane, converting it into a passenger aircraft. The bomb lift was converted into a small elevator. The interior decorator made it into a well appointed vehicle suitable for VIP travel. Grandpa’s job was to use his photography and welding skills to inspect the welds and make sure all the structural changes planned by the engineers were done properly. What they had built was to be the first Air Force One – the first plane intentionally designed to carry the President of the United States. The bomb lift/elevator conversion was needed because FDR was paralyzed from Polio, but according to Grandpa the public didn’t know that at the time. That was a big part of the need for secrecy around the project. There were a few of these B-24 conversions. The converted planes were dubbed C-87 models. The one Grandpa helped build was called the Guess Where II – a play on words because Presidential travel was kept secret. Unfortunately, the Guess Where II never carried Roosevelt. After the plane was built and just before its inaugural trip, the Secret Service decided the B-24 safety record wasn’t good enough. The President took a different plane to meet Churchill and Stalin at the Teheran summit to begin planning the end of WWII. Another brush with history in a life full of such events. 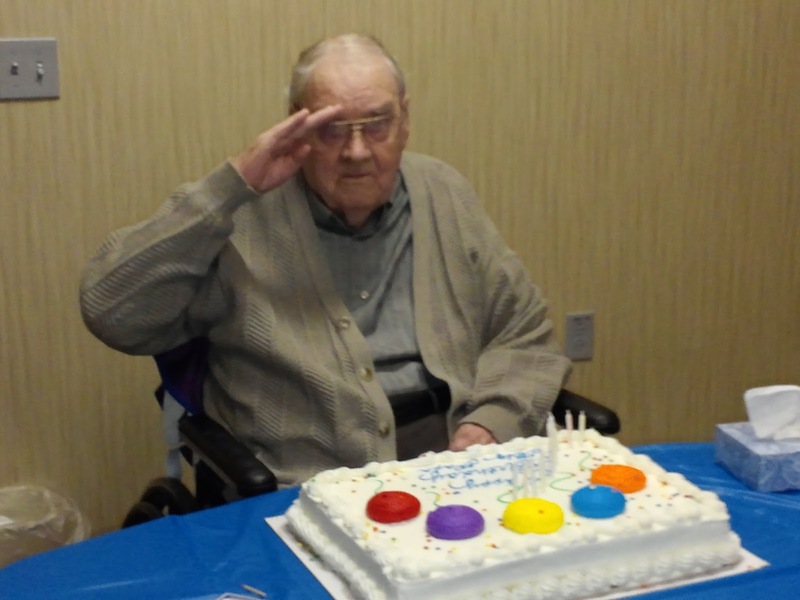 A Navy man until the end, Lieutenant Magnuson spent his last days at the new Veterans nursing home in Black Mountain being one of the first patients admitted when it opened in 2012. He passed away in 2014. Happy Veterans Day, Grandpa! You and your stories are always missed. The first scenario is the "No Tossups" map based strictly on the current RCP polling averages in each state. It gives Clinton the narrowest of victories. However, if Trump flips just New Hampshire, he wins. The RCP average currenlty has Clinton up by .8% in NH - well within the margin of error. There are also at least 2 believable scenarios that result in Electoral College ties. If Trump wins New Hampshire but loses Maine's 2nd Congressional District electoral vote, it's a tie. Trump is up by just .5% in ME CD2. That's even closer than NH. A less likely tie scenario is the "No Tossups" map but swap who wins Nevada and Colorado. That also gets each candidate 269 Electoral College delegates. If a tie scenario was to occur, then the US Congress decides the election with each state getting one vote based on how the Congressional delegation within the state votes internally. The number of Red states gives the advantage to Trump. However, if there are some "Never Trump" Republicans in some of these low population Red states with small bi-partisan Congressional delegations, they could conceivably give it to Clinton. Making a Clinton victory under this crazy scenario even crazier, the Senate would elect the Vice President. With Republicans having the majority there with each Senator having a vote. It would be a real possibility of Pence being the VP. Clinton and Pence, now that would be something. 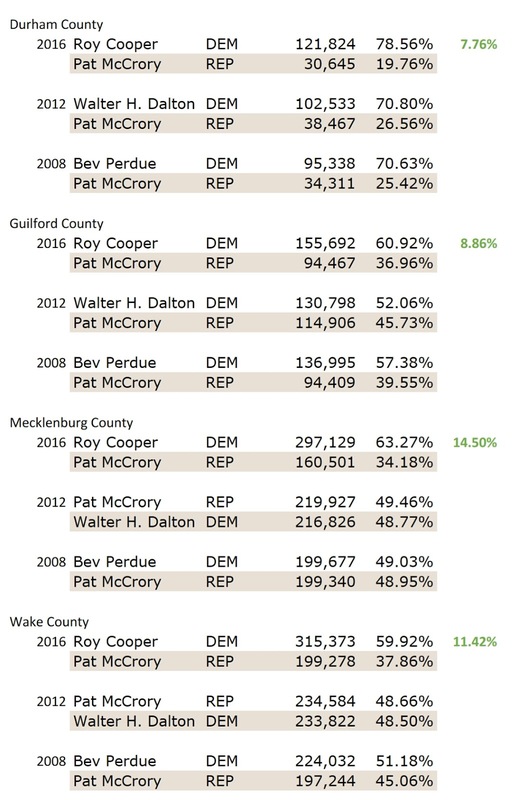 With early voting data available from the BOE and the ncvotetracker.com app, here is what early voting looks like in the contentious race for NC House 98. 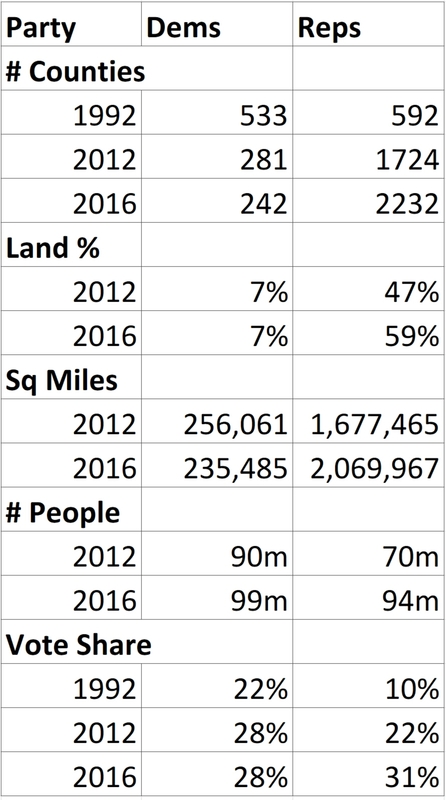 It's a risky proposition comparing numbers from a mid-term election (2014) and a Presidential year (2016), but compare we can. First some baseline info. NC98 is an R+9 district according to the Civitas Partisan Index - meaning the Republican won the 2012 vote for Governor and Council of State races in the precincts that make up this district by 9 more points than the statewide margin. The CPI is calculated only in Presidential election years, so it is more applicable this year than it would have been in 2014. In 2014, Republican John Bradford beat Democrat Natasha Marcus by 10 points, 55% to 45%. It is also important to note, this district is not gerrymandered to have a Republican win. 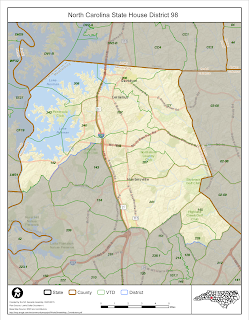 North Mecklenburg is just a pretty solid Republican area. In 2014, Marcus won 3 of 12 precincts - 206 in Davidson plus 145 and 239 in Highland Creek. 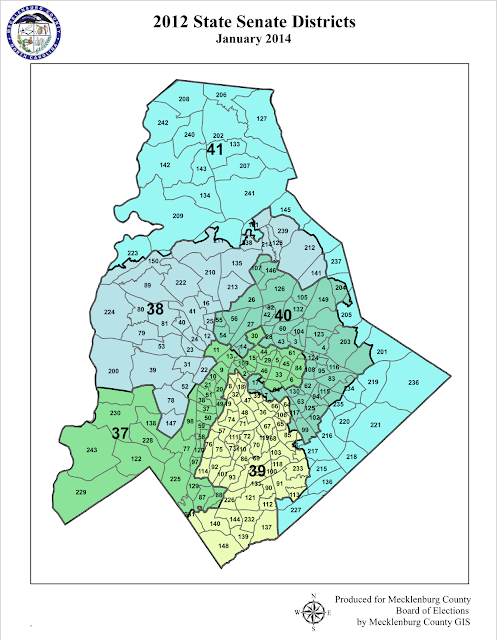 If anything this district could have been drawn to be much more Republican by not including 239/145 voters and including more from Huntersville. In 2014 Marcus won big in the 3 precincts she did win, so we'll consider those precincts the Democrat voting base. The comparable Republican 3-precinct base would be precincts 133, 208, and 242. In 2014 the Dem base precincts gave Marcus 426 vote advantage over the Rep base precincts. In 2014 the cushion favoring the Dems in the "base" precints was totally overwhelmed by the fact those 3 precincts were the only ones the Dem candidate won. There are multiple other precints that favor the Republican almost as much as the ones included in the "base" precincts here, and this year they had bigger early vote % increases. We will know by the end of the day if the same dynamic happens again this year. By Halloween night the “Great Blizzard of 2016” began to taper off, or at least that’s what the locals here in North Mecklenburg hoped. It had been a long and stormy season, and at this point many were not sure how much more of this “weather” their spirits could take. You may be asking yourself, “Great Blizzard?!?! What on earth could he possibly be talking about?” It topped 80 degrees on Halloween. Snow, much less a blizzard, is the furthest thing from most minds right now. No, it’s not a blizzard of snow and ice we’ve been experiencing. Instead, it’s been the constant blast of paper stuffing local mailboxes this election season that people are finding hard to take. By Halloween, at least 50 flyers for and against various political candidates have landed in North Mecklenburg mailboxes. Like any measurement of accumulation amounts vary depending on your exact location. Some get more. Some get less. However, this season it seems more pervasive than others. What makes this even more unusual, is that it’s not the historically divisive Presidential campaign that’s generated most of the volume. No, it’s the race between Republican incumbent John Bradford of Cornelius and Unaffiliated challenger Jane Campbell of Davidson for NC House 98 in the North Carolina General Assembly that has generated the most flyers – by far. The district covering Davidson, Cornelius, Huntersville’s east side and the Highland Creek area of Charlotte has been hit with at least 30 flyers from both sides starting in mid-September. Like two equally heavily armed camps in a giant snowball fight the number of flyers have shown almost equal support for each side. Though in fairness most have been attacking their opponent as much or more than promoting their own candidate. To keep up this constant barrage requires a lot of money, and Halloween, October 31st, also happens to be the last day for campaigns and outside political groups to file their third quarter campaign finance disclosures. The reports for both the Campbell and Bradford campaigns showed up on the State Board of Elections site that day as well. The campaigns raised comparable amounts from individual donors so far this election. As a challenger, Campbell raised a very respectable $92,218 to Bradford’s $103,803. Both candidates appeared to garner most of their individual support from their respective home bases within the district. Bradford pulled ahead significantly in the cash race by raking in $54,800 from “Other Political Committees”. That would be from other elected officials and industry PACs. Campbell drew just $10,910. Both campaigns sent huge amounts to their respective parties. Campbell sent $55,000 to the NC Democrats. Yes, technically she’s an “Unaffiliated” but Campbell is essentially running as the replacement Democrat since the party didn’t field one during the filing period. Bradford sent $30,000 to the NCGOP. Effectively, both candidates are paying for much of the flyers landing in local mailboxes through these payments to their respective parties. At this point it would look like the incumbent has a sizable advantage, but the campaigns’ reports don’t tell the whole story. Both sides also received significant outside help this cycle. Third party groups that aren’t allowed to coordinate with the campaigns can effectively spend as much as they want to influence elections, and spend they did in this race. As of the end of October, a group out of Raleigh called NC Families First has dumped $164,849 in opposition ads against Bradford or in support of Campbell. On the other side Bradford has benefited from $20,000 in support from the NC Realtors. Flyers have also gone out from the Mainstreet Merchants group and NC Citizens for Freedom in Education in support of his campaign. However, as of this writing numbers for those groups are not available. So while Bradford’s campaign itself raised more money up through the Q3 of this year, the overall effort to elect Campbell appears to have the lead in total funding. Regardless, both sides have a ton of money to spend and that has set the conditions for the paper blizzard we’ve been experiencing. This post first appeared in the Herald Weekly at HuntersvilleHerald.com. aShortChronicle has posted extensive coverage of the outside spending impacting local races this election cycle. Now, with election day upon us, some totals are in hand. After Monday's filing deadline, we've identified $3,568,530 in what would be classified as direct campaign related expenditures (media buys, mailings, canvassing) from a single network of left leaning advocacy groups supporting Democratic Party candidates this election cycle. Tens of thousands more in legal fees and other costs are also reported in their filings. NC Families First, NC Citizens for Protecting Our Schools, A Better NC, Real Facts NC, Common Sense Matters, and Make NC First. As mentioned in this previous post, all of these entities are connected through Raleigh Attorney, Michael Weisel. If Weisel's name sounds familiar, it might be from reading these other articles in local media. WFAE did a piece quoting him as representing NC Families First on the group's commercial against Bob Edmunds for the NC Supreme Court. Weisel was also quoted in this WBTV report on Planned Parenthood posing as an anti toll group. In the WBTV report, Weisel was representing NC Citizens for Protecting Our Schools. This Planned Parenthood situation provides a great example of how the money flows. The Planned Parenthood affiliated organization Community Organizing Group was working with a subsidiary of NC Citizens for Protecting Our Schools called "Aim Higher Now" to hand out some door hangers. NC Citizens for Protecting Our Schools is a major funder of NC Families First sending them over $1.4 million this election cycle. NC Families First in turn sent $485,000 to Planned Parenthood Action PAC NC for canvassing. The WBTV report states Planned Parenthood Action as working with Community Organizing Group on the canvasing operation. One can easily draw the connections between NC Citizens for Protecting Our Schools and the Planned Parenthood canvasing operation. With one hand the "Citizens" group is paying for the canvasing via money given to NC Families First, and with the other hand they are paying for the canvasing materials. Ultimately, the money all flows to this operation from the same place, but it looks like multiple organizations working independently. In reality, it's just part of a larger plan. Another part of the plan is targeting NC House seats directly including NC98 and NC92. According to NC Board of Elections data, NC Families First has hit NC98 Rep John Bradford with $164,849 in attack ads this cycle. NC92 Republican Danae Caulfield has been hit by $66,471 from the group. $231,320 spent on attack ads for 2 NC House seats in Mecklenburg county!!! Further research shows this to be part of a wider effort by NC Families First to flood Mecklenburg and Wake counties with attack ads against Republicans. The below list matches the list of "Competitive Races to Watch" from Real Facts NC - one of the affiliated groups in this network. The Republicans highlighted in bold match the targets of NC Families First based on their campaign reports at NCSBE.gov. One can guess that is likely not an accident. From the analysis completed so far, John Bradford in NC98 appears to be the group's #1 target based on money spent. With Mecklenburg County and Lake Norman in particular being one of the central battlegrounds for the NC House this election cycle, the money and organization behind this collection of 527 and 501c4 organizations has gone a long way towards what's been happening here locally. Will it be successful? We will know in less than a week.